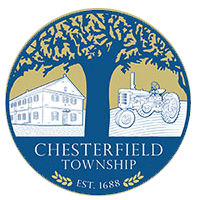 If you live in Chesterfield Township and you are going to be away from your home for a while, whether you are going on vacation or away for an emergency, you can inform the Police Department with a Request for a Check of Premises form. If there is an emergency at your home or business, an officer will have the information he needs to get in touch with you or your designee. You may fill out this form using your computer's mouse and/or tab buttons then your print function. You may either take the completed form to the Police Department or (if time allows) mail it to: Chesterfield Twp. Police, 295 Bordentown-Chesterfield Rd, Chesterfield, NJ 08515.